A prominent Hydro Electric provider in North America looked to TASC Systems as the solutions provider to continually monitor the health of their radio network. The Hydro Electric company relies on the radio system as its communication backbone for their staff in the field maintaining the hydro facilities. The siteCOMMANDER system by TASC Systems has enabled the hydro provider to take a proactive approach to maintaining the equipment at their remote sites thus reducing the maintenance schedule that any one site might be down. For mines, transport networks and other public or private infrastructure, TASC Systems has a history of providing solutions for monitoring the communication networks supporting these essential systems. TASC Systems’ solutions allow you to easily manage your sites remotely. Save time and money by eliminating unnecessary service visits. Monitor equipment health, door and perimeter security, fuel/battery levels, temperatures and other custom sensors. Even perform test starts and maintenance procedures remotely. Augment your existing building/campus automation and communication systems using TASC products to get a supervisory summary of system health. Our products provide the infrastructure to allow alarm notification, machine-to-machine interfaces and historical data analysis. 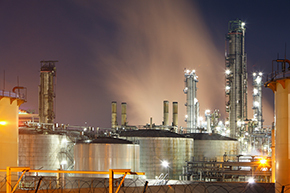 Our solutions give visibility to the health of your new or existing SCADA infrastructure. We provide monitoring and control solutions for Distributed Antenna System (DAS) technologies.